Tied with a Ribbon: Wildflower Meadow - you have done it again Melly and Me! Wildflower Meadow - you have done it again Melly and Me! I have been a lucky girl being able to get to work with this beautiful new range Wildflower Meadow by Melly and Me thanks to Millhouse Collections for Riley Blake Fabrics. 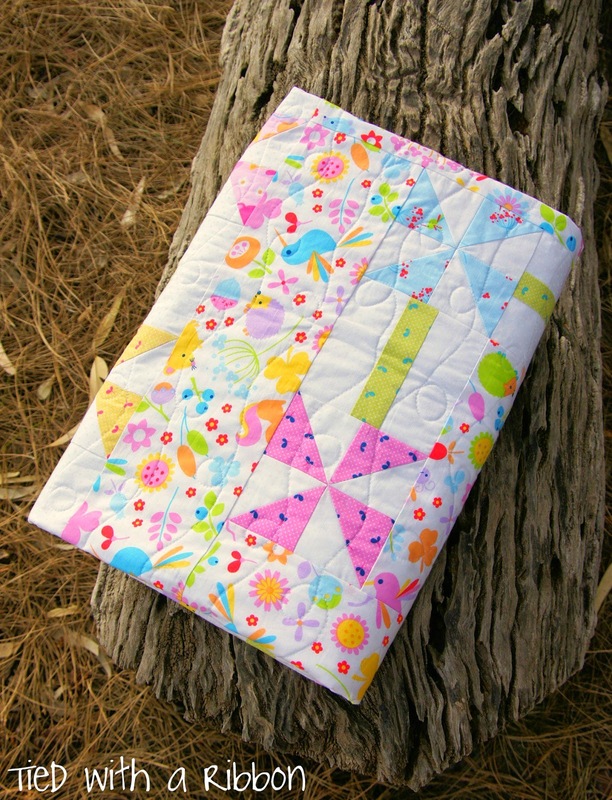 This latest range from Melly is absolutely the cutest and so whimsical with its mix of characters and flowers. As a child I used to spend lots of time making Daisy Chains with my friends in and around the Grasslands of my house. 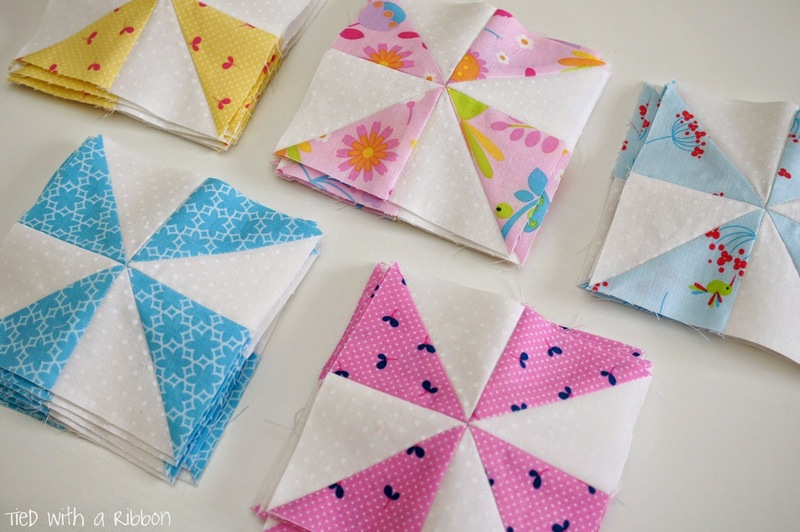 These fabrics inspired me to make a quilt reminiscent of those times creating the chain of daisy flowers around the main fabric trail of the quilt. 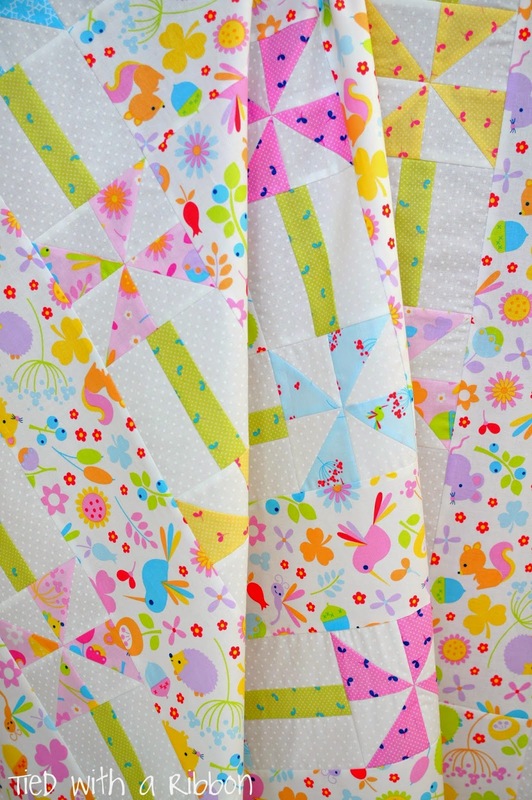 The animals are just so sweet and the range includes beautifully coloured fabrics to co-ordinate with the main prints. 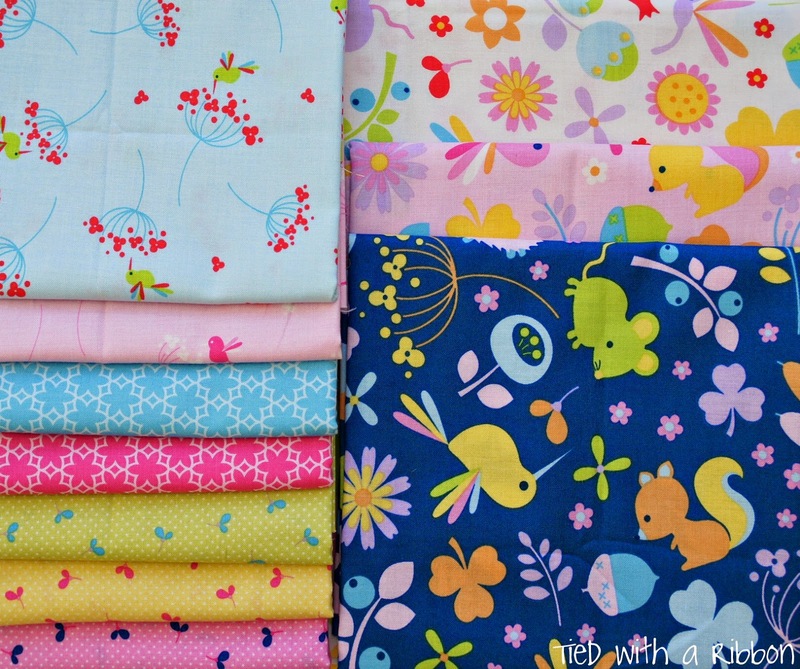 Wildflower Meadow is available now and I am sure it will be a much loved fabric range. 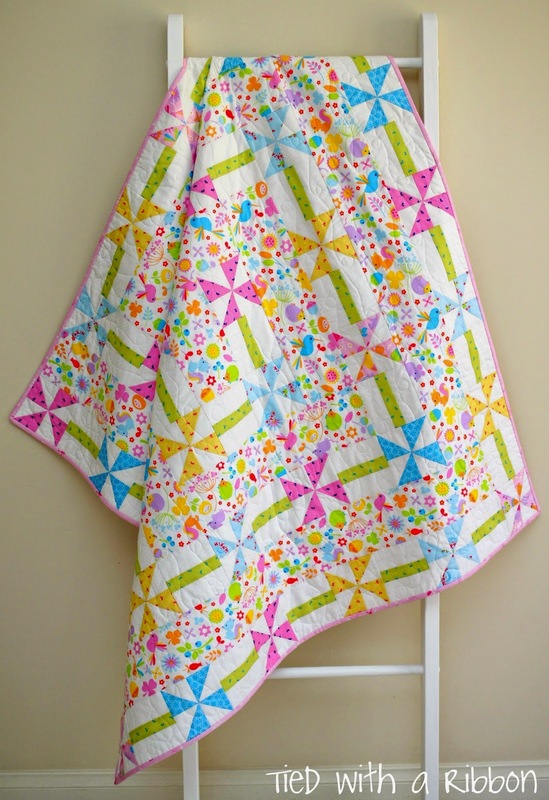 Daisy Chain is now available as a PDF downloadable pattern in my Etsy store. 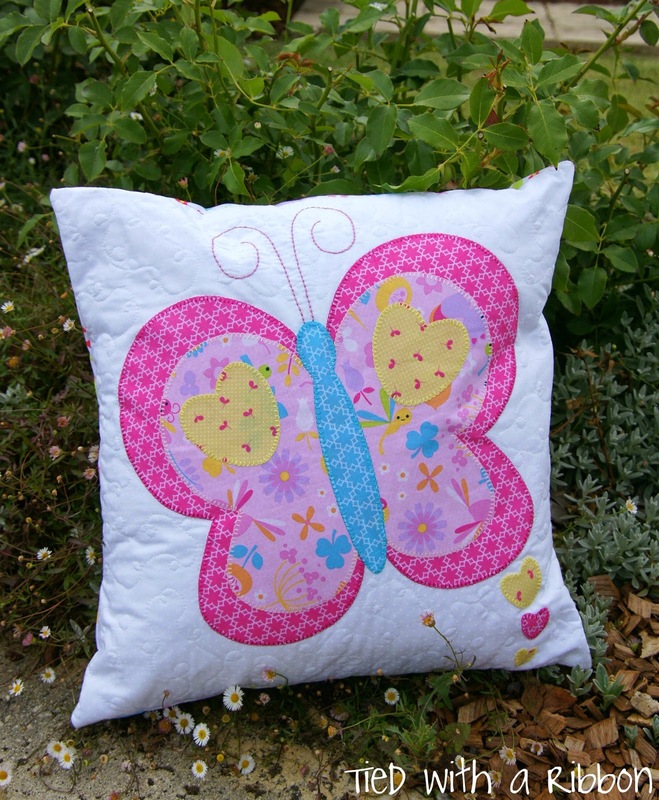 I just knew this range was perfect to make this Butterfly Trail Appliqué Cushion. 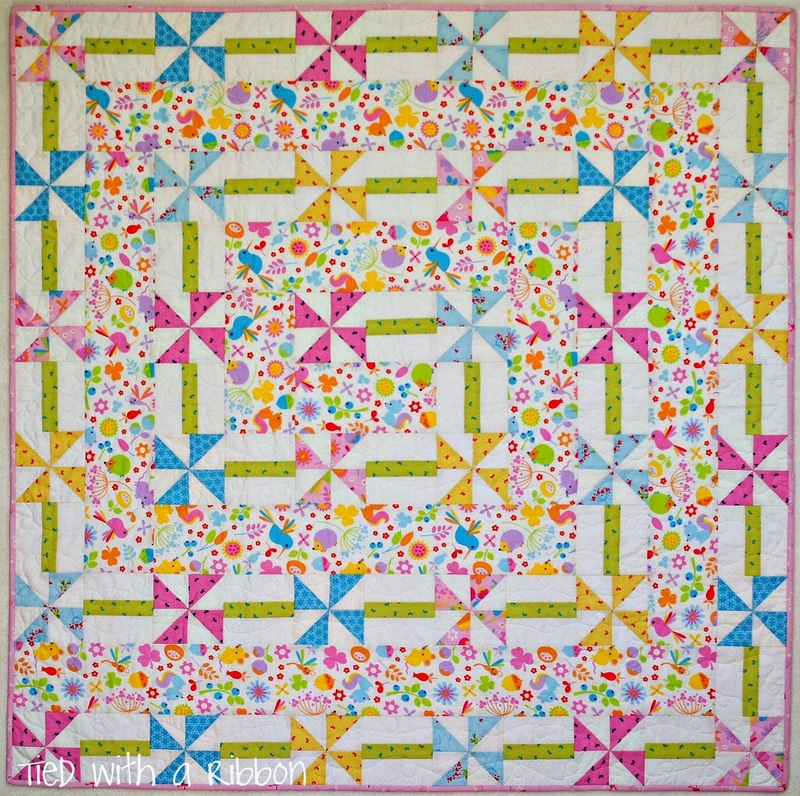 With bright colours and cute characters this was just perfect for this design. 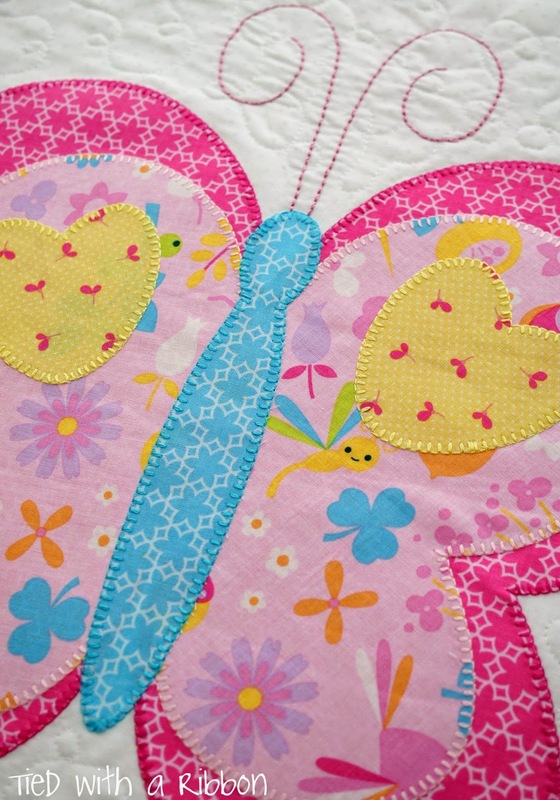 I used Aurifil 12wt Cotton to Appliqué my Butterfly in matching up the colours of the fabrics with the threads. The beauty of Appliqué is that you can choose which way you like to sew it best - whether by machine or hand the results are always great. 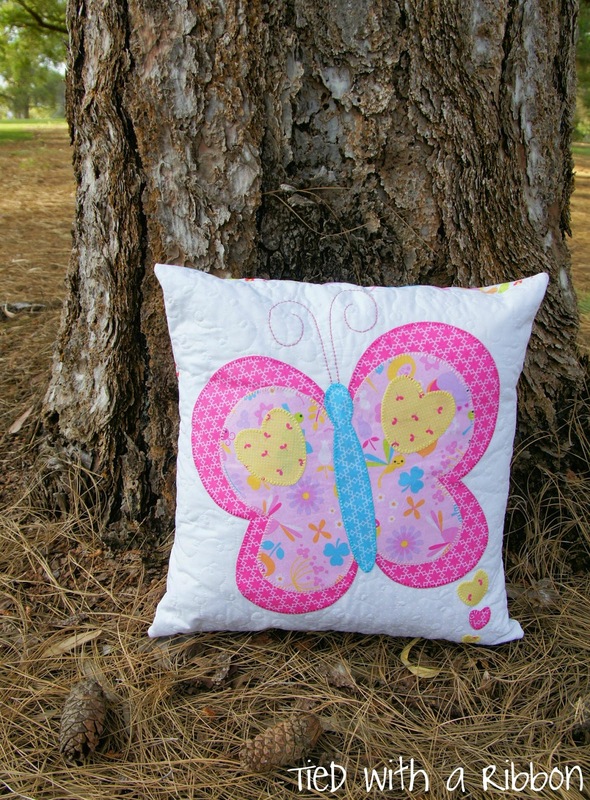 Butterfly Trail is now available as a PDF downloadable pattern in my Etsy store.